C.L. Carter & Associates was formed out of a need in the Tulsa oil & gas community for practical, solution-oriented professional accounting and administrative services. During Mr. Carter’s tenure as an exploration & production (E&P) Controller/ Treasurer, he was frequently frustrated by the lack of CPA firms who were well-versed in the intricacies of the oil & gas industry. While some firms were proficient in oil & gas income taxes and financial accounting/audits, there was a consistent lack of knowledge of the day-to-day workings of a small E&P company. Most firms were completely unfamiliar with COPAS matters, revenue distribution, drilling and operations, gas marketing, tasks associated with acquisitions, oil & gas accounting software, and so on. Realizing he was uniquely qualified, Mr. Carter formed Carter & Associates and began meeting the specialized needs of small E&P companies, as well as providing traditional tax and financial reporting services. As it turned out, the demand for his firm was strong and the client base which began in Tulsa quickly expanded statewide, and has now included consulting services to companies located in California, Illinois, Arkansas, Texas, New York, Louisiana, Kansas, Canada, and Australia. General Accounting work that requires specialized oil & gas knowledge in areas such royalty and revenue disbursement, JIBs, inventory & material transfers, etc. Have hands-on experience with clients on OGSYS, Roughneck, WolfePak, and QuickBooks. 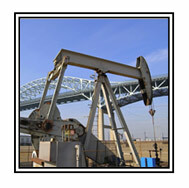 Assistance with unique tax areas in oil & gas such as franchise taxes, production taxes, sales tax, property taxes, international taxes, etc. Tulsa Metropolitan Area and Nationwide over 15 years.